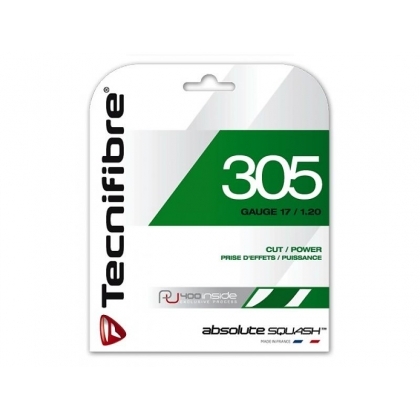 The Tecnifibre 305 1.20 Green Squash String is used by many pro players and is widely recognised as the best string for squash. Due to a special production process it is more elastic than any other squash string. Resulting in outstanding power and increased cut effect. A set of 9.7 m is sufficient to restring each squash racket.